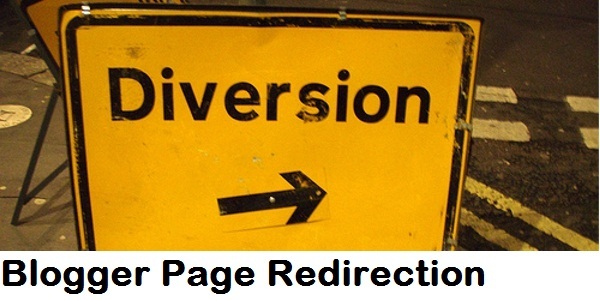 Redirect A Page In Blogger To Any Other Link NEW! This is an exciting feature! I am gradually shifting over to the new blogger interface. There were couple of attractive features introduced by Blogger in the platform update, among which the redirection is a very useful feature too. You could simply make out a new page (as you would normally do) and then redirect it to another link of your choice. For example you could make out a new page called 'Advertise' and then simply redirect it to your BuySellAds directory listing page. Thats indeed amazing. You would make out a new page >> Choose the type as redirection (ill talk about that in minute) >> Click save! How To Redirect A Page In Blogger? Step #1 Follow The Image below. Finally click 'Save'. Now each time you would click that particular page button, that would take you too any other link (that you typed in for redirection).! Though you could use menu bars to add external links BUT this feature is indeed a valuable option to consider. In case you of any problems, do comment below and the BloggingeHow family would love to help you out. 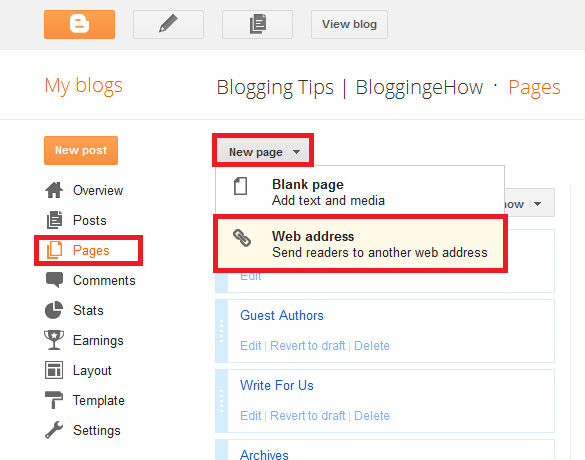 BloggingeHow | Making Blogging Simpler: Redirect A Page In Blogger To Any Other Link NEW!